“March 11, 1919 put Orange County in the black in more ways than one. On that day Fullerton area citrus grower Charles C. Chapman watched as his gusher came in. Thousands of gallons of crude oil flew into the sky at Chapman No. 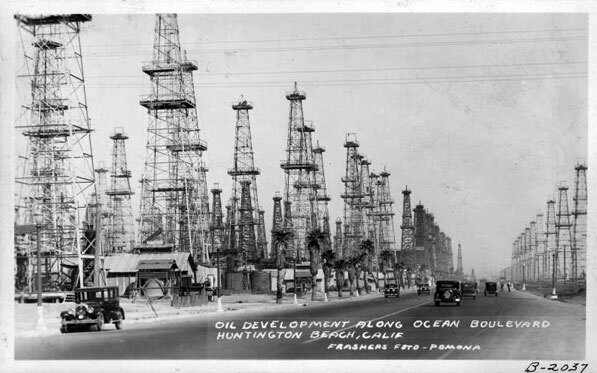 1, his Placentia-Ritchfield District well leased to the Union Oil Co. 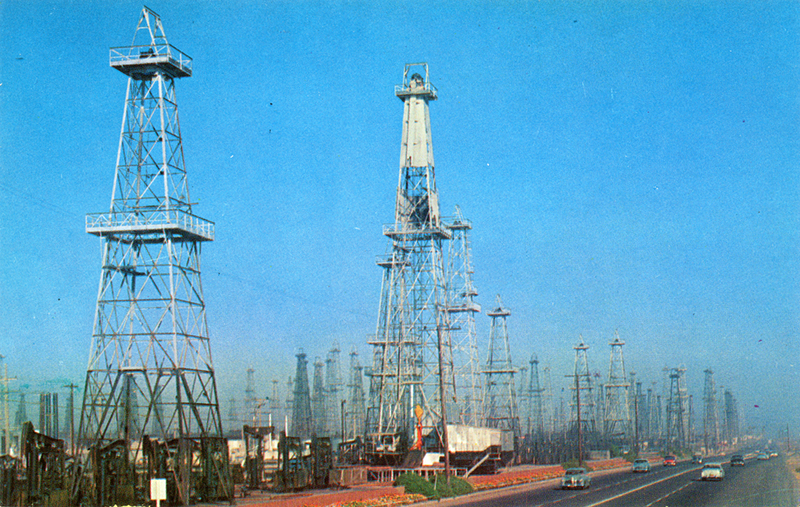 This well began producing 8,000 barrels of oil a day and quickly became the most productive single well in California. Representatives of Rockefeller family-controlled Standard Oil were impressed, too, and scouted the surrounding countryside. Standard quickly leased the Samuel Kraemer property across the street and drilled six wells including the deepest “Kraemer Zone” well. All were productive in 1919. 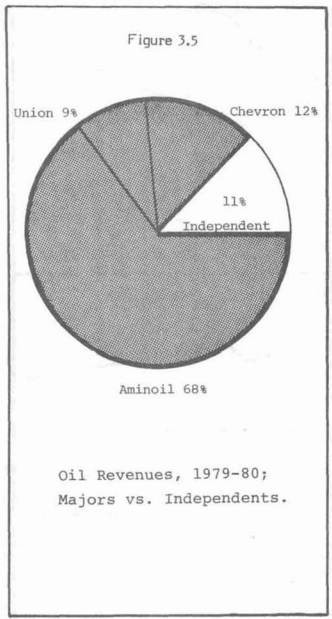 The county’s single most productive “soil product,” crude oil, accounted for nearly on fourth of 1912’s $26 million countywide take. After Chapman No. 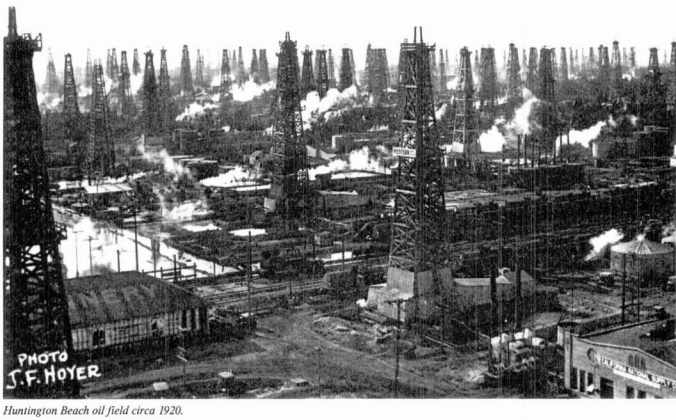 1 came in in 1919, estimates put the county’s production at 1,475,000 barrels a month, which equated to $22.15 million a year. “A third strike in 1933 had world wide impact because of the new techniques it demonstrated. 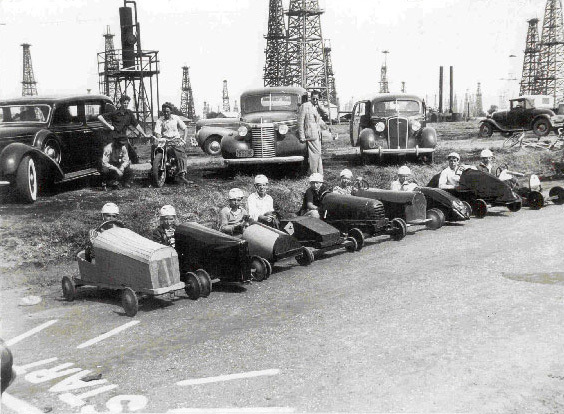 Up until that time, drilling had been on he near-vertical, directly over an oil pool, With the invention of controlled directional drilling, first used successfully here to tap the tide land pools, a well could be drilled on a slant, in any desired direction. 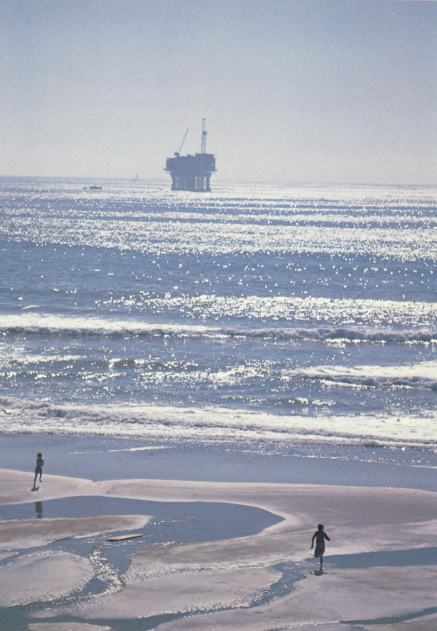 Within a year, 90 wells were producing from tall rigs along the coastline. 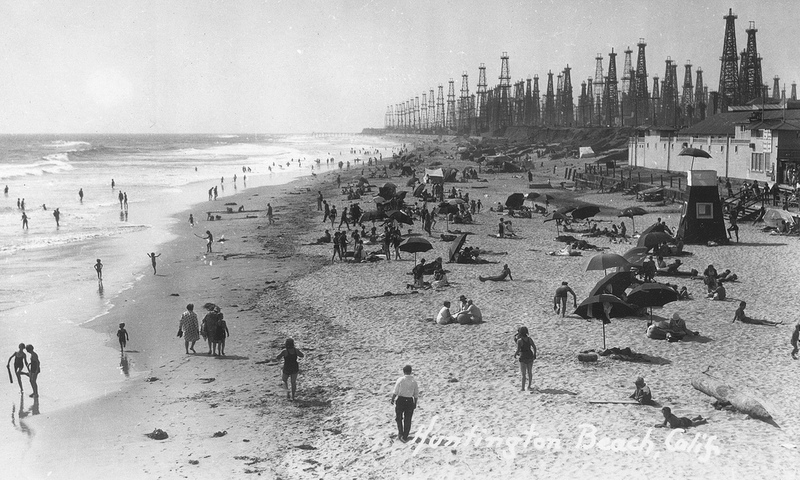 These bobbing pumps remained the symbol of coastal Huntington Beach for many years and were frequently used as background for movies, including “Giant.” Now, most are gone or masked by plantings. 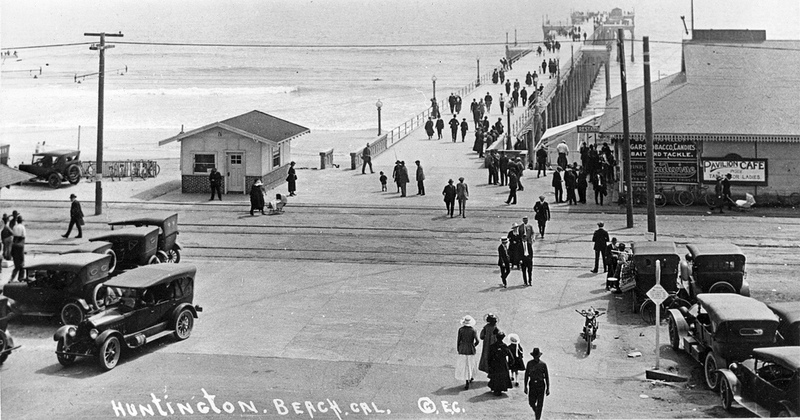 In 1970 Huntington Beach was the fastest growing city in the U.S. and the largest city in land area in Orange County. 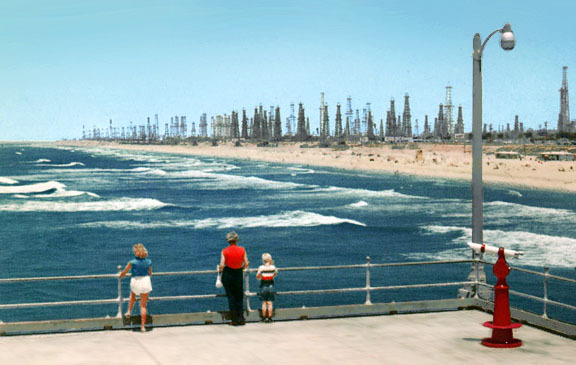 Today (1976) Huntington Beach has a population of over 150,000 in its 25 square mile area. It now has over 30 elementary schools, four high schools, and Golden West College. – From the 1976 Discoveries magazine. 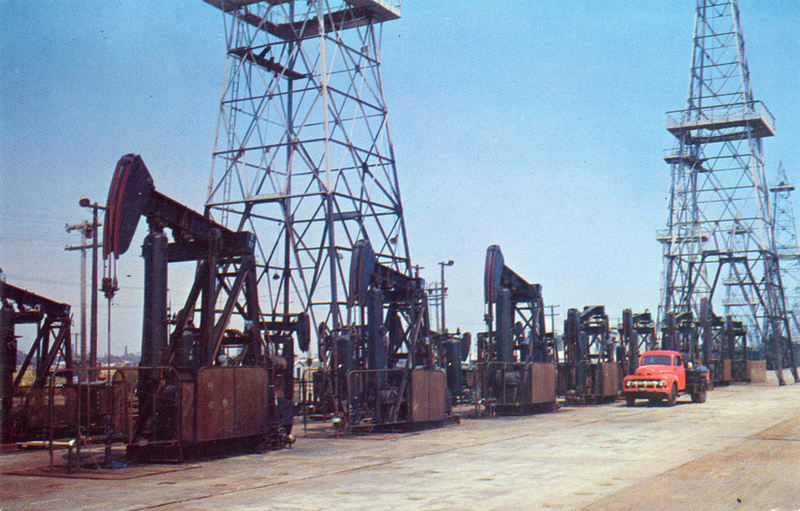 Offshore rig in 1976 with 52 producing wells. 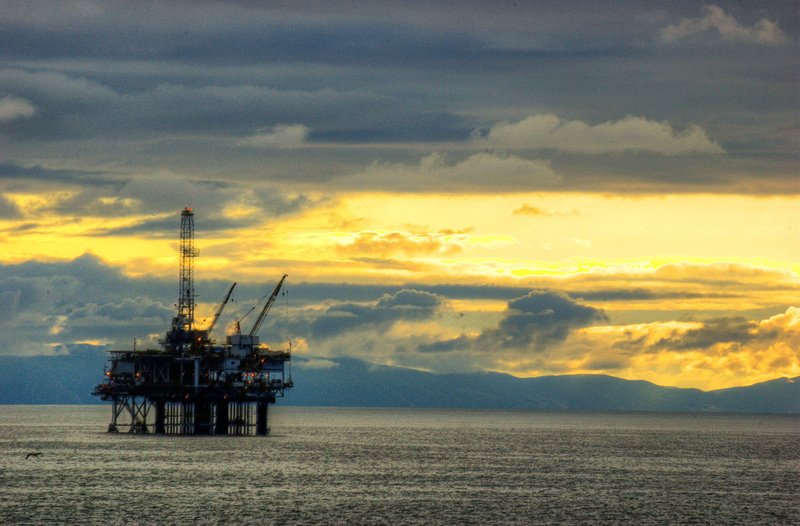 Modern day offshore oil rig taken in October 2010, with Catalina Island in the background.